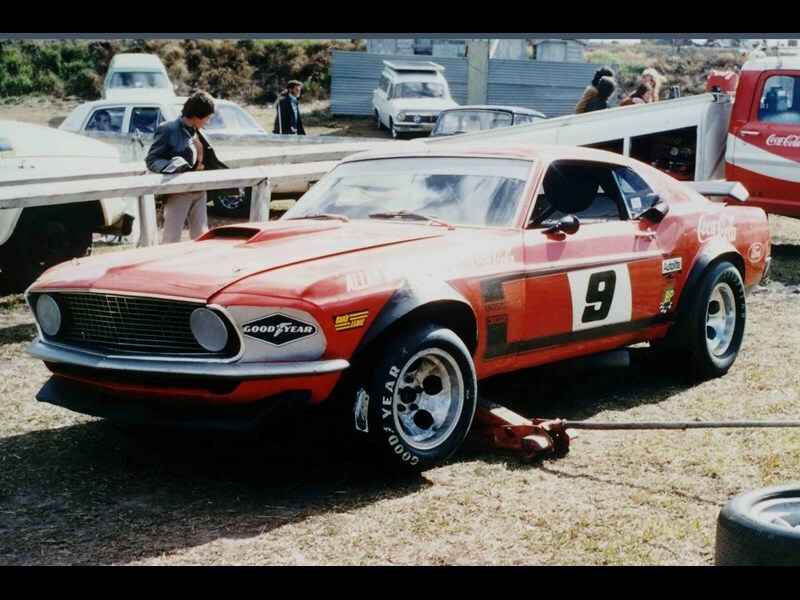 Some of Australia’s best-known ‘old warriors’ will be shedding their dust covers to celebrate 50 years of Touring Car racing at Queensland’s favourite circuit in the Shannons Lakeside Classic Speed Fest from 12-14 August. Allan Moffat’s Iconic 1969 Trans Am Boss Mustang and Norm Beechey’s famous 1970 Championship-winning HT GTS 350 Monaro will be coming from the Bowden Collection to be seen and heard at the meeting, while the late ‘Pete’ Geoghegan’s GTA Mustang that took the Touring Car crown three years running from 1967-1969 is also expected to put in a special appearance. 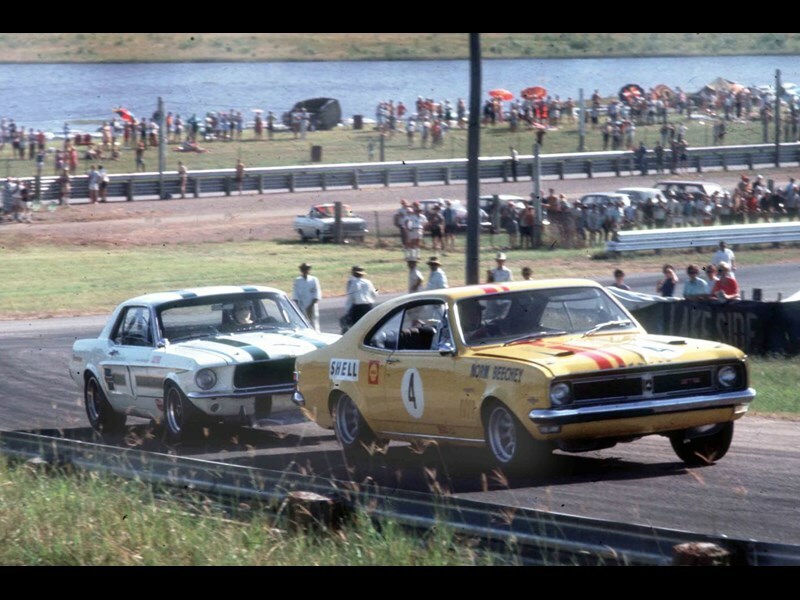 All three cars enjoyed some memorable and fierce battles at Lakeside over the years and the chance to see them together on track again– even if just for demonstration laps –will be a very special nostalgic moment for enthusiasts. The old warriors will be joined on track at the meeting by an expected full 30-car grid of Group C and Group A cars, many of which have not been back to the circuit since they raced in the Touring Car Championship in the 1970s and 1980s. 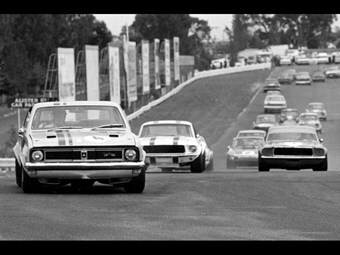 Lakeside has been given a special reprieve from its usual 95dba noise cap for the Shannons Classic Speed Fest because of the meeting’s 50th Anniversary significance and organisers are expecting a crowd approaching 10,000 spectators to attend over the weekend. 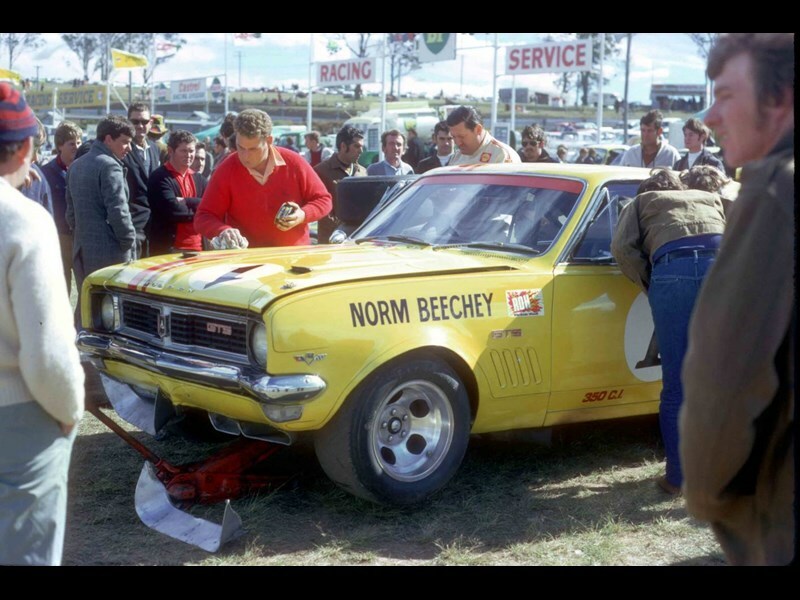 Four-time Australian Touring Car Champion Jim Richards will be at the meeting to meet and greet fans and sign posters, while he is also expected to drive demonstration laps in some of the famous Touring Cars from the past. Shannons will be bringing its impressive Super Rig to Lakeside, both as a gathering point for classic Touring Car fans and also for enthusiasts to enjoy its great viewing platform. All eligible enthusiasts who get a car, bike or home insurance quotation from Shannons at the meeting will go into the draw to win a double pass to the award-winning film – ‘Senna’ – that took the top award for a documentary at this year’s Sundance Film Festival in the USA and will be in Australian cinemas from August 11. Enthusiasts entering their vehicle in the Shannons Sunday Show & Shine – this year featuring a special display of road-going HDT cars – will also be in the running for the Senna movie prize, with the Best Presented HDT winning both a trophy and a double pass to the film. Winners of the Group C, Group A, Group N Historic and Trans Am races at Lakeside will also win a double pass to ‘Senna’ . Entry to the Shannons Lakeside Classic Speed Fest at the Lakeside circuit, Lakeside Road, Kurwongbah, Qld. costs $20 Saturday, $30 Sunday, with a weekend pass $40.